When you log in to Cascade CMS, the first screen you will see is the Dashboard. The dashboard is a bird's eye view of your action items, notifications, and site content. You can add or customize widgets to reflect data from one or more of your sites. An overview of the Dashboard is available from Hannon Hill. 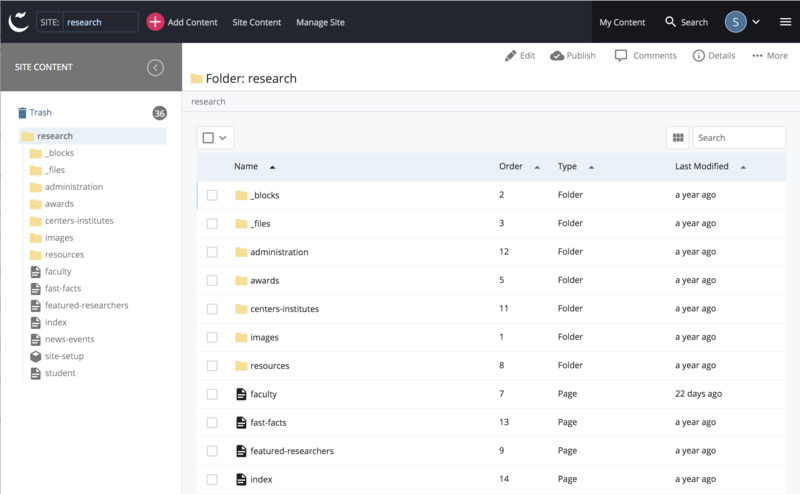 Site Content menu: A list of the assets that belong to your site are listed on the left side of your screen. This list can be minimized by clicking the left-facing arrow.